M.L.K. Holiday Store-Wide Sale and Link-Up! Happy LONG WEEKEND!!! 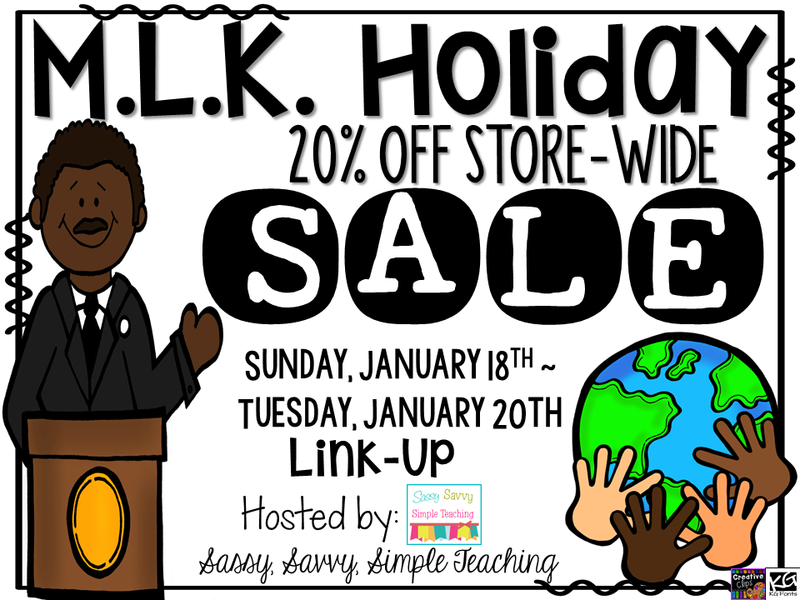 I'm here to let you know that I am having a STORE-WIDE 20% OFF SALE in honor of the holiday weekend!!! It's a great opportunity to grab some products to help you get through the 2nd semester of school. Don't forget to leave feedback on purchases & to use your TpT credits. Sunday, January 18th ~ Tuesday January 20th!!! I specifically designed these to help out my class practice and get used to FSA (Florida Standards Assessment) type questions! 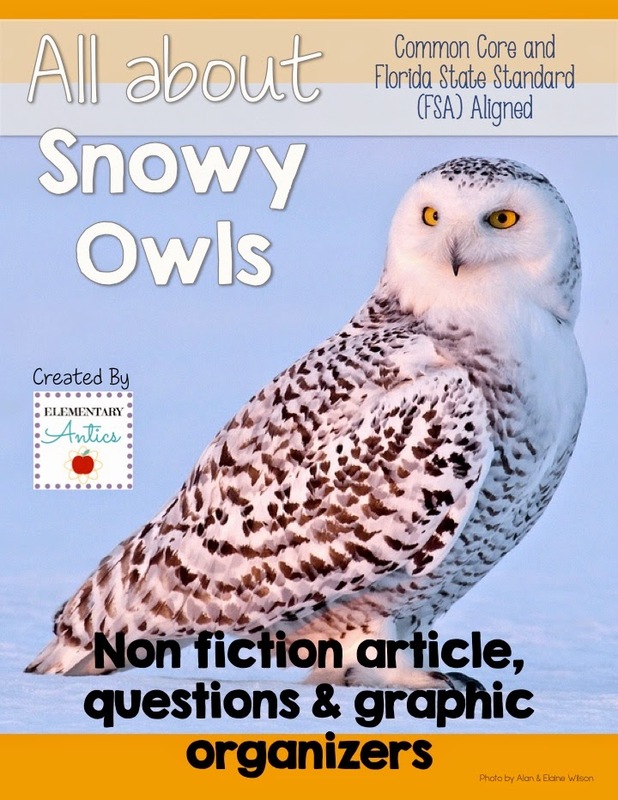 Each pack includes an article (approximately 850 Lexile Level), along with 8 questions about the article. These questions have been written using the 2014-2015 Florida Standards Assessment Specifications for guidance. The Florida State Standards are extremely similar to the Common Core standards, so this will align to Common Core standards as well. This will be great to use in your classroom as an assessment, test prep, practice or homework. 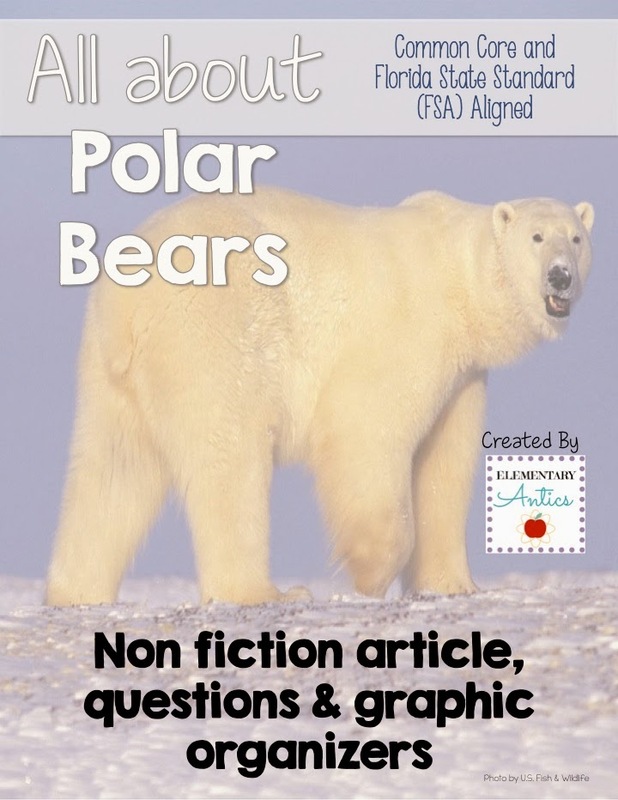 There are also two graphic organizers that you can use with the included article or just about any non-fiction text (each pack has different graphic organizers). And, last but not least, they include two language and editing mini passages with five questions each. Just more great practice for the FSA or to use as language mini assessments or exit tickets. Is your store on sale too? Link up with Sassy, Savvy, Simple Teaching and the rest of us below!